A small shrub banksia from SW of Perth that grows in heathland in deep white sands. 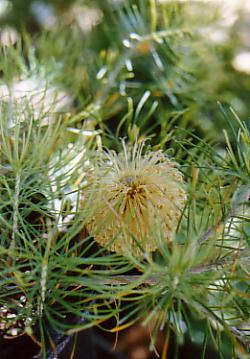 It has small linear grey woolly leaves and spherical pink-white flower-heads. Not commonly grown, we have grown them successfully as container plants.